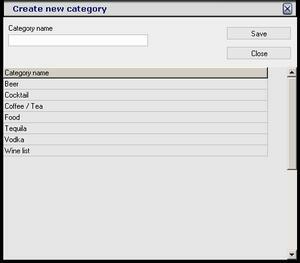 Cafe management software - drink/food categories administration form. On this form you can create new or change existing one drink/food category. � From this moment you can use this category when you creating menu items.